It is extremely annoying when you are streaming your favorite Hollywood flick on Kodi and, all of a sudden, from nowhere, a pop-up error comes up stating http://vshare.eu/pair. According to latest reports, a majority of Kodi users are experiencing this error since past 2-3 months. Various online forums and websites have come up discussing this error but none has provided a working solution so far to steer clear of this disturbing error. If you are facing this error for long and are tired of searching a fix for the same, finally, you have stumbled upon the correct post. Here, we are going to explain you step by step methods to fix vshare.eu/pair error on the latest Kodi Krypton 17.6. Own an Android Box? 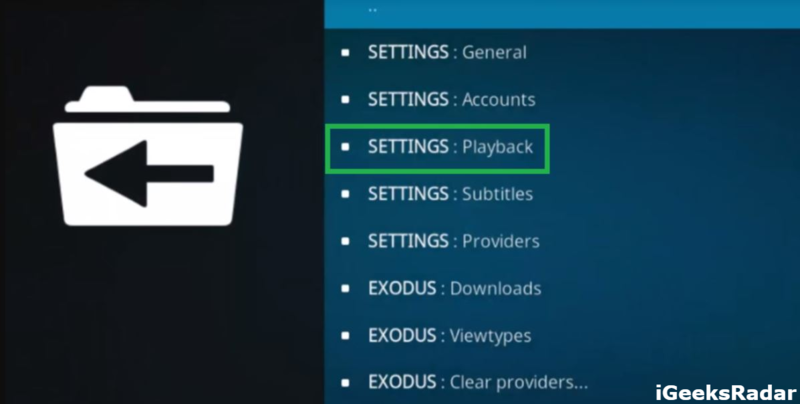 Care to know how to update Kodi on Android Box? Get to know the steps here. Please note that http://vshare.eu is an exceedingly popular video server that holds tons of movies, videos & TV Shows in its database. It is, actually, a video sharing website that allows users to upload and share any video online on multiple platforms. Now, it is understandable that daily innumerable videos might get uploaded on this website. Hence, the developers, so as to prevent spamming, made it mandatory for you to pair your device with http://vshare.eu/pair for accessing the contents. Various Kodi Add-Ons like Exodus, Covenant, Placenta etc. are utilizing the web servers of vshare.eu to get the latest content for you. Hence, now whenever any Kodi add-on accesses a streaming link which is provided by this server, it becomes mandatory for you to pair your IP Address with the same and hence, you get the infamous http://vshare.eu/pair Stream Authorization error. But, now you don’t have to worry at all as we are providing you with certain methods to fix this vShare Stream Authorization error. Running Kodi on FireStick, Fire TV or Fire Cube? Know how to update the same from here. Under this method, you require pairing your IP Address with http://vshare.eu/pair. By pairing your IP Address you will be able to fix this error for 4 hours. After 4 hours you require following the below-provided steps again in order to fix this error for another upcoming 4 hours. However, 4 hours is a well enough time to catch two Hollywood flicks. Since on Kodi you never know when you are accessing copyrighted streams and links. Hence, it is advisable to utilize the services of a VPN before accessing Kodi. So, first please connect your VPN to replace your original IP Address. Open your default browser. Generally, Google Chrome is the best option. On the URL Bar please enter the address http://vshare.eu/pair. Please wait for the webpage to load up. Once the webpage loads up tap on ‘I’m not a robot’ and complete the Captcha. Please wait for the green tick on this box. Once you get to see the green tick, please click on ‘Active Streaming.’ This button will be present just below the Captcha button. After clicking on Active Streaming, you will get to see a message stating that your IP Address is paired with Video Share for a few hours. Close the browser and launch the same link on Kodi for which you faced the error. You won’t get to face it again for 4 hours. If you turn off your internet connection in between these 4 hours, you need to redo the entire steps again. Please don’t disable your VPN in between. Don’t change your IP Address for these 4 hours. After these 4 hours are over you can pair again with a new IP Address. It is best to use a premium VPN Service as a Free VPN Service, usually, provides a dynamic IP Address which means that after every few minutes your IP Address will change. In this case, you won’t be able to fix the vShare Video Streaming Pair error. Are you getting a ‘Failed to Install a Dependency Error in Kodi?’ Read here how to fix the same. That’s it! The vShare Stream Authorization Error will no longer haunt you now. “Download iOSEmus on iOS 12.1/12 & iOS 11.3/11+ iPhone/iPad (Complete Guide)“. Select the same and click one URL Resolver -> Configure. You will see various hosters now in front of you. Select vShare EU from here and disable it. This way Kodi won’t access any link from vShare EU website and you won’t have to face the vShare Pairing error. Please launch Kodi main screen from your Firestick. Now, you require connecting your mobile phone to the same Wi-Fi network with which your Firestick is connected. Cool! Now, you require following the same steps as mentioned in Method 1 described above for pairing the IP Address of your Firestick with vShare EU website. Alternatively, you can utilize any of the Method 2 or Method 3 to resolve this issue on your Firestick as well. Please note that if the vShare EU Pairing Process is not working on your PC or mobile phone then, it must be the case of automatically opening windows. The pairing website of Video Share is riddled with tons of ads which keep on opening up new windows when you are trying to pair your IP Address. Hence, in such situations, it is advisable to install an AdBlocker before proceeding. Interested in having Kodi on your iPhone/iPad? Check out the steps here. You might get to see another issue that the Video Sharing website has been blocked. If you get to see something like this then it means you are not using a VPN Service. Please ensure that you are on VPN before trying to pair your IP with video share. 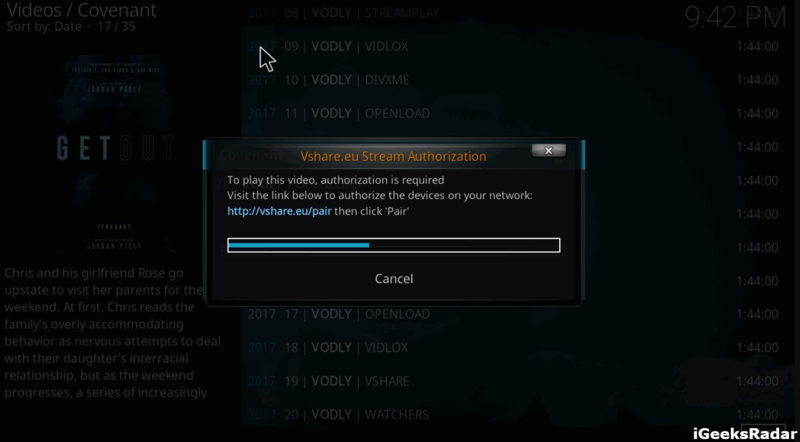 So, these were the methods through which you can fix http://vshare.eu/pair Stream Authorization error on Kodi. Please note that if you happen to face any issue while attempting to fix this error let us know about the same by mentioning it in the comments section provided below. Download and Install Kodi V17.6 on iOS(iPhone/iPad) Released. Download Kodi Leia – 18 IPA for iOS 10/11+ (iPhone/iPad).